Captain Devin Silas hosts a walk through of the new 75 Spencer, Shoe. Equal parts work of art and high performance fishing machine, the Shoe is highly customized for comfort, class and fishability. With a fuel capacity of 5,000 gallons and a top speed of 45 knots, she is a sight to behold. 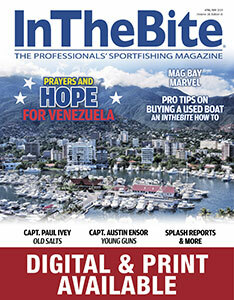 Recent evolution in the sportfishing industry is creating opportunities for younger, level-headed, smart captains. These days, many of the owners are younger, many of the boats are faster with more range. 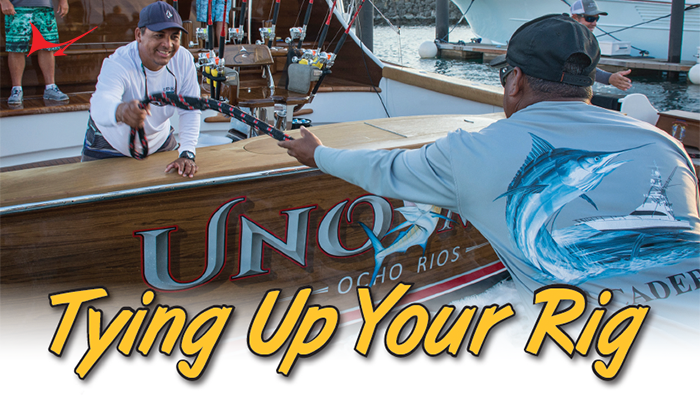 For many operations, young captains provide the perfect fit between experience and confidence that allow today’s sportfishing programs to flourish. Just as advancement in technology allows young captains to gain experience faster, being over-confident – or just plain cocky – could easily turn bad: not smart. This series showcases some of the today’s young captains who are getting it right. 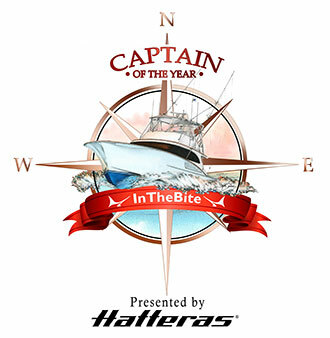 At just 29-years old, Captain Chris Kaulen found himself jumping from the cockpit to the bridge in the middle of the Bahamas tournament season. Owner Bobby Jacobsen’s confidence in young Chris was realized in May of 2015. Having worked for Jacobsen the previous three years, Chris knew the boat and hoped he was ready. 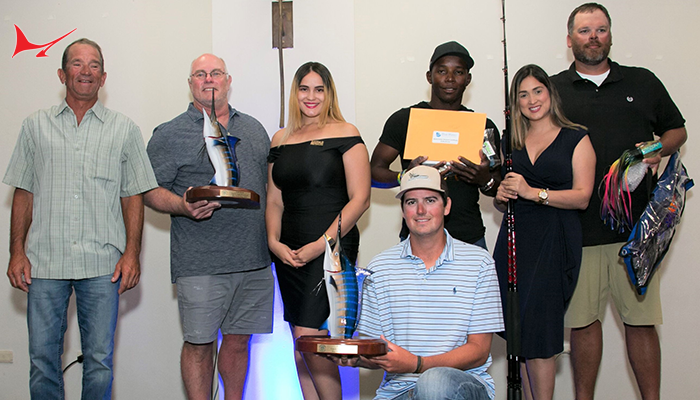 The pressure was on, but Jacobsen’s decision proved true in June that same year when the Marlin Darlin won the Baker’s Bay Invitational, only to repeat the win in 2016. If you are lucky enough to know “Little Chris,” you know he is humble. Soft-spoken, supportive, and friendly, Chris knows how to make you love him – unknowingly of course. Respected for his warm personality and integrity, Captain Chris has been at this boating thing for a while. 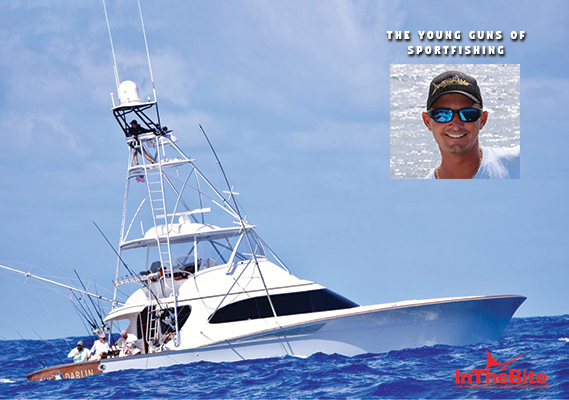 Growing up on Pumpkin Cay, an isolated island in Biscayne Bay just a half-mile from the Ocean Reef Club, Chris found himself in a small boat at a very young age. In fact, Chris drove his boat to and from school each day. For as long as he can remember he had an interest in fishing. And at 13, young Chris was freelancing and working charters for the likes of Captains George Mitchell, Greg Graham, and Ron Crisp. Today’s young, aspiring captain must work hard and continue to learn from his mistakes, without putting the entire program out of business. Chris believes one of the biggest worries owners may face when considering a young gun would be lack of experience. Additionally, the mate who has his eye on the helm must go above and beyond the scope of his job without stepping on any toes. 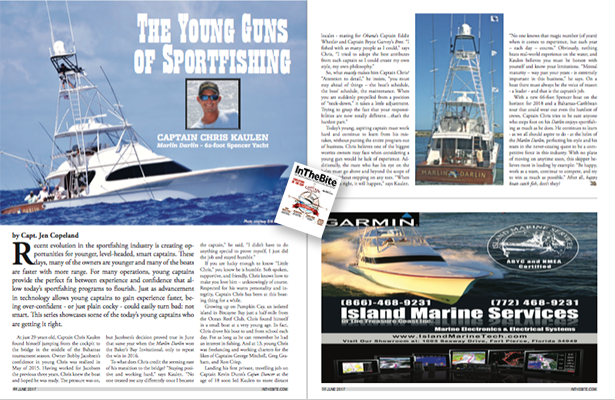 “When the time is right, it will happen,” says Kaulen, “no one knows that magic number (of years) when it comes to experience, but each year – each day – counts.” Obviously, nothing beats real-world experience on the water, and Kaulen believes you must be honest with yourself and know your limitations. “Mental maturity – way past your years – is extremely important in this business,” he says. On a boat there must always be the voice of reason – a leader – and that is the captain’s job. 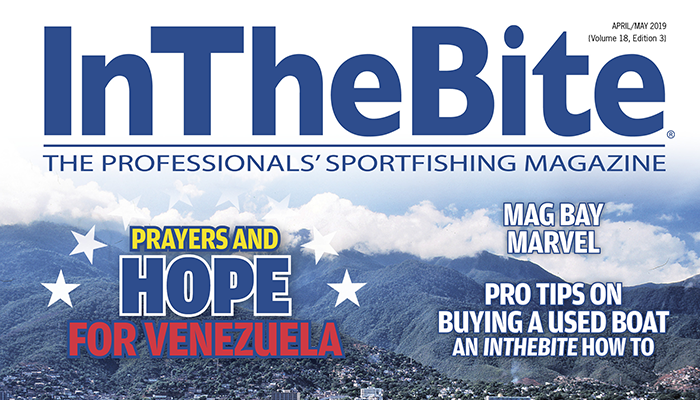 With a new 66-foot Spencer boat on the horizon for 2018, and a Bahamas-Caribbean tour that could wear out even the hardiest of crews, Captain Chris tries to be sure anyone who steps foot on his Darlin, enjoys sportfishing as much as he does. He continues to learn – as we all should aspire to do – at the helm of the Marlin Darlin, perfecting his style and his team in the never-ceasing quest to be a competitive force in this industry. 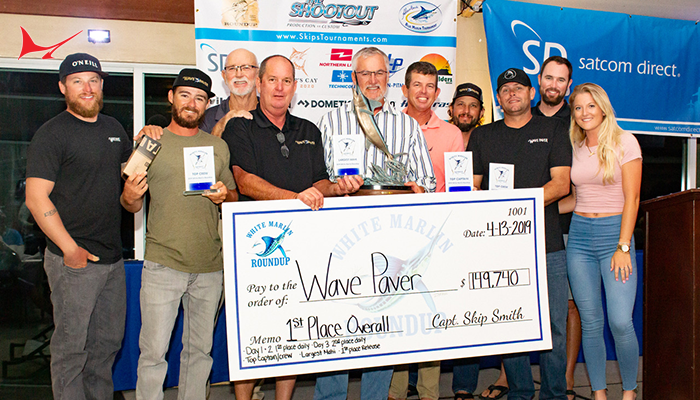 With no plans of moving on anytime soon, this skipper believes most in leading by example: “Be happy, work as a team, continue to compete, and try to win as much as possible.” After all, happy boats catch fish, don’t they? Congrats to Paul Spencer and the Spencer Yachts team for building 100 state of the art sportfishing vessels.  In Their Own Words is an InTheBite exclusive. This is the first installment. 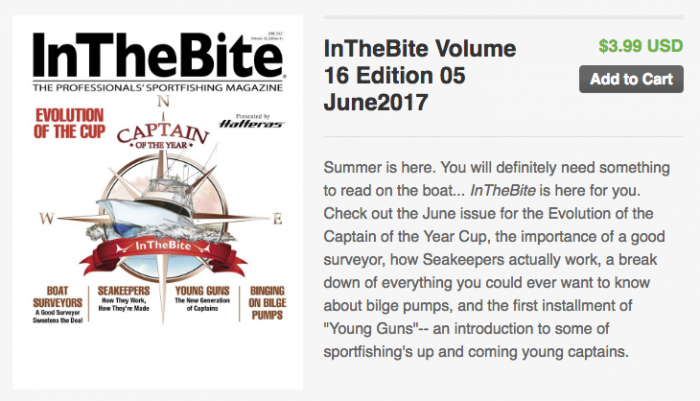 The series provides first person access to the men behind the boats. 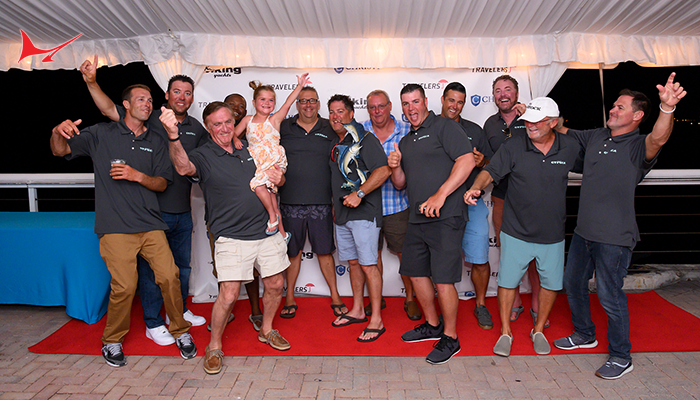 Paul Spencer describes his approach to making boats and the evolution of Spencer Yachts from the beginning– a charter captain making a boat for himself– into what it has become today, one of the finest operations in sportfishing. As Spencer Yachts celebrates its 100th hull, Paul describes the company’s philosophy to the art and business of boat building. Captain Paul Spencer was raised in the waters of the Atlantic Ocean, and began his first job as an offshore mate at the young age of 12. 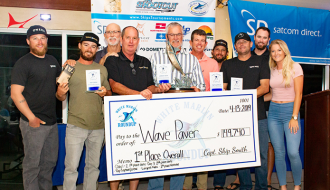 After several years as a captain running fishing charters and winning multiple tournaments, Spencer decided to turn his focus to building boats. Since that decision in 1996, Spencer Yachts has grown into a formidable icon throughout North America and as far away as Hawaii and South America. In 2015, they have several custom sportfish under way and have proudly begun construction on their 100th hull. Situated in the Outer Banks of North Carolina, Spencer Yachts is comprised of two facilities, one located in Manns Harbor where the construction process begins for each custom cold-molded hull. From there, the primed hulls are moved to Spencer’s main facility in Wanchese for completion. 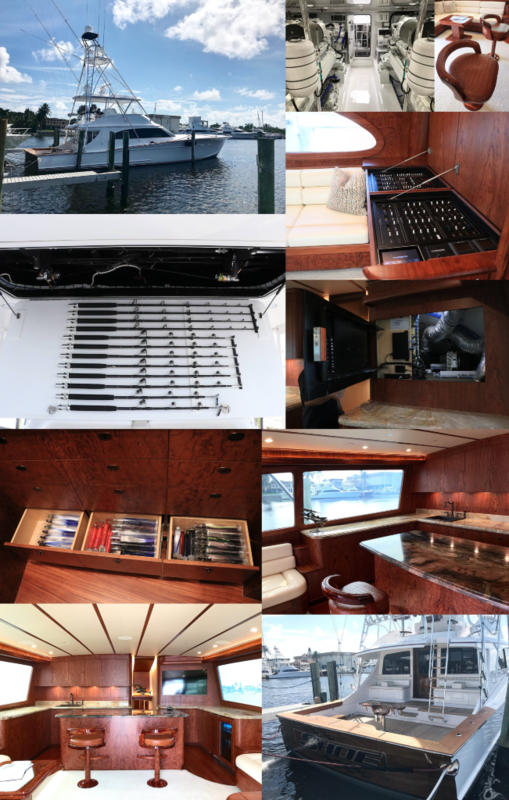 These facilities provide for on-site fabrication of nearly all components of the boat including all carpentry, wood work, metal fabrication as well as painting and finishing.